Our goal is to connect people with the best local experts. We scored wedding photographers on more than 25 variables across five categories, and analysed the results to give you a hand-picked list of the best wedding photographers in Providence, RI. BellaFoto Studios is a wedding photographer located in Westerly, Rhode Island. The owner has a Bachelor of Fine Arts in photography. Sessions are conducted on the owner's acre of land or at the wedding location. Bird in the Hand Weddings is a professional wedding photography studio. Clients call the fine art photographer's style low-key, minimal, beautiful, and artistic. The company will photograph Providence weddings and will travel to any venue in Southern New England. Brad Smith Photography specializes in wedding and engagement photography in Rhode Island. The photographer takes pride in preserving the essence of the occasion and utilizes a photojournalistic style. Caitlin Maloney Photography is a wedding and portrait studio that serves Newport, Bristol, Jamestown, Providence, Narragansett, and other Rhode Island areas. The owner graduated from the Center for Digital Imaging Arts at Boston University and has photographed weddings and families since 2009. The company's work has been featured in several issues of People Magazine and The Knot Boston. They were awarded WeddingWire's Couples' Choice Award in 2015 and WeddingWire's Bride's Choice Award in 2013. Dana Siles Photographer is a wedding photography studio located in Pawtucket, Rhode Island. They serve the entire Southern New England area. Dana takes pride in being able to capture the essence of her subject during weddings, engagement shoots or portrait sessions. DGL Photography is a wedding photographer located in Barrington, Rhode Island. The owner of the company is a former journalist and takes pride in being able to tell a story either through words or his lens. The photographer will travel around Rhode Island and Southern New England to the wedding site. For more than 10 years, Faith Dugan Photography has photographed weddings in Newport, Rhode Island. The photographer won Newport Life Magazine's Photographer of the Year Award in 2011, The Knot's Bride's Choice Award in 2011, and Wedding Wire's Bride's Choice Award in 2011. The photographer's work has been featured in Southern New England Wedding Magazine, Newport Wedding Magazine, Simply Chic Weddings, and Bride & Groom Magazine. Gumula Photography is a Rhode Island-based wedding photographer. The owner received a BFA in Graphic Design from UMASS Dartmouth. The photographer takes pride in not letting the weather or lighting prevent a shot and is always ready for any wedding emergency. The company will travel to venues in Rhode Island and around New England. Innergy Studios is a Providence-based wedding photographer. The studio offers photography and cinematography services for events and weddings. Clients rave about the studio's cinematography service. Stating they use real movie techniques, like aerial cinematography and hyper lapses, the final product is tailored to the couple's personality. Based in Cumberland, Rhode Island, Irena Mandel Photography, serves clients throughout Southern New England. They specialize in photography for weddings, engagements, mitzvahs, birthdays, and showers. Jamie Corbman Photography is a Providence, Rhode Island wedding photography studio. They serve New England areas, including Bristol, Providence, Newport, Cape Cod, and the surrounding areas of Rhode Island and Massachusetts. As a photographer, Jamie's goals are to create photographs that are bright, clear, and beautiful. He takes pride in pleasing every couple that he works for. Jennifer Neves Photographer has been in business since 1995. The Bristol-based wedding photographer received a degree from Rhode Island College and is a member of the Professional Photographers Association of America, Professional Photographers of New England, and the Professional Photographers Association of Rhode Island. The company takes pride in capturing the essence of the day. Kim Praast Photography specializes in journalistic wedding documentation with a fashion inspired twist. The photographer received a BFA from Alfred University, School of Art and Design. The studio has been honored for the past seven consecutive years with awards from Wedding Wire and for the past four years with awards from The Knot. Kris McCarthy Photography, LLC provides wedding, engagement, family, and pet photography services based in Greenville, Rhode Island. The photographer has a degree from the Rhode Island School of Design and works to learn new techniques by continuously participating in workshops and artist groups. Maria Burton Photography specializes in wedding, engagement, and family photography across New England. The photographer prefers to work in natural light at locations such as parks, homes, churches, beaches, and other natural surroundings. Matt Ferrara Photography offers wedding, senior portraits, children and family photography. The photographer will travel around Rhode Island and Southern New England for weddings. Michael David Photography shoots weddings and engagements throughout Southern New England. The company was awarded WeddingWire's Bride's Choice Award in 2011, 2012, and 2013 and the Couples Choice Award in 2014 and 2015. Penny Souza Photography is a studio that has been specializing in wedding, engagement, family, and portrait photography since 2004. 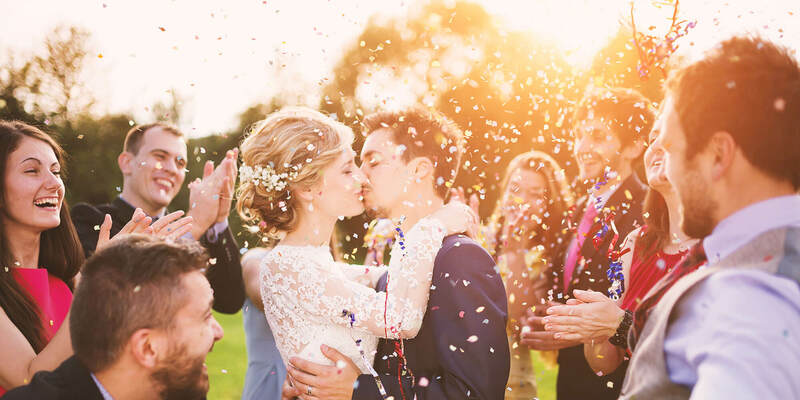 The company won the Knot's 2015 Best of Weddings award, WeddingWire Couple's Choice Award in 2015, and has had photos featured in Newport Life Magazine and the Sun Chronicle. The photographer is also a member of the Professional Photographers of New England. Samantha Robshaw Photography is an award-winning wedding photography studio based in Lincoln, Rhode Island. The company won the Wedding Wire Couples' Choice Award in 2014, 2015, and 2016. The photographer's work has been featured in the Cape Cod Times, the Boston Herald, Boston Spirit Magazine, and Southern New England Magazine. For more than ten years, Snap! Weddings has provided wedding photography services throughout New England. Customers rave that the photographers are fun, creative, and capture excellent shots. Stacy Smith Studios specializes in wedding and boudoir photography. Stacy's work has been featured on The Rhode Show's Trends In Wedding Photography in June 2015 and will be featured in RI Monthly's Engaged Magazine in January 2018. The fully staffed company serves Providence, Rhode Island. Susan Sancomb Photography strives for creative shots in a relaxed and natural atmosphere. The photographer specializes in engagement, portrait, and wedding photography in South County, Rhode Island.